Hello Everyone! It has been awhile! Our 15 month old is keeping us extremely busy leaving me very little time to do any crafty projects or blogging. I had an night last week that I put everything else aside on my to-do list so that I could transform an old frame into a colorful place to hang my favorite Instagram photos. Man, this really makes me wish I had a smartphone and could use Instagram. 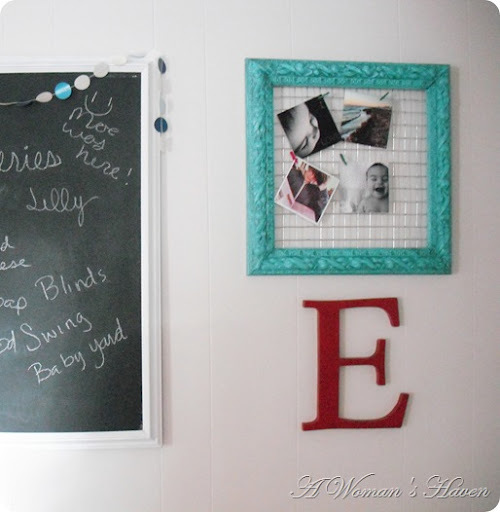 I can't think of a better display setting for fond memories than a cute, vintagey piece of DIY decor, but I just never have a camera on me. 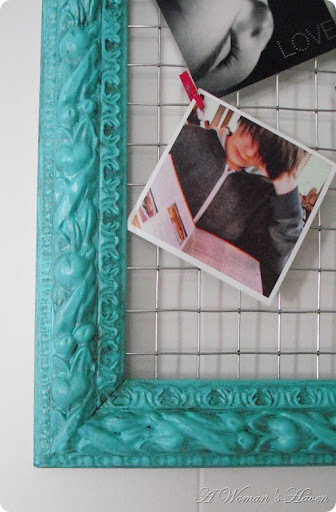 I love the combination of the fancy carved frame and the coarse wire mesh! Do you know Kollabora, the crafting and DIY community? I think you should post this to their home decor section. I want to see how many people on the site try making it themselves! 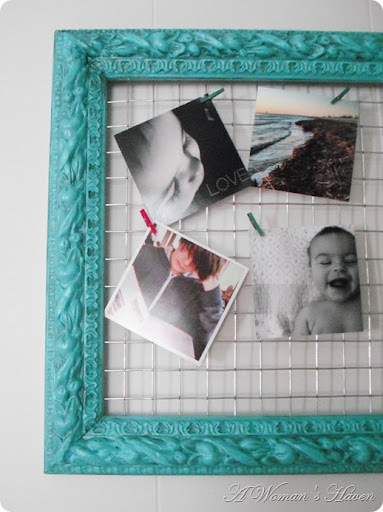 Hey, My name is Laura and I blog about tips for displaying printed Instagram photos. 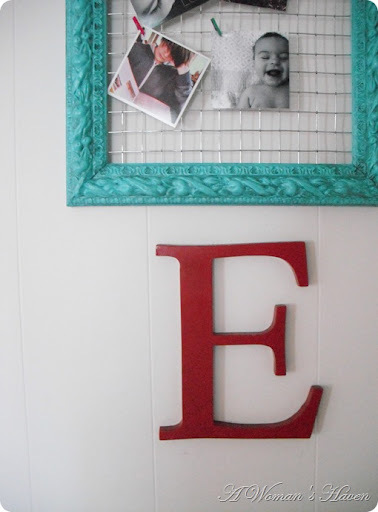 I have been doing lots of looking around to find unique ideas and I just want to let you know I love this idea! 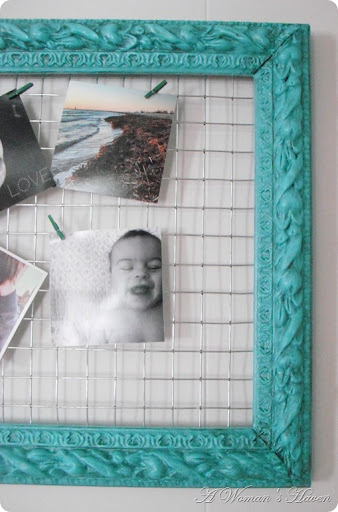 I love seeing the crafty ideas that people create to display their Instagram photos! thank you for the inspiration and thank you for sharing. I really hope this idea inspires people to print their Instagram photos!